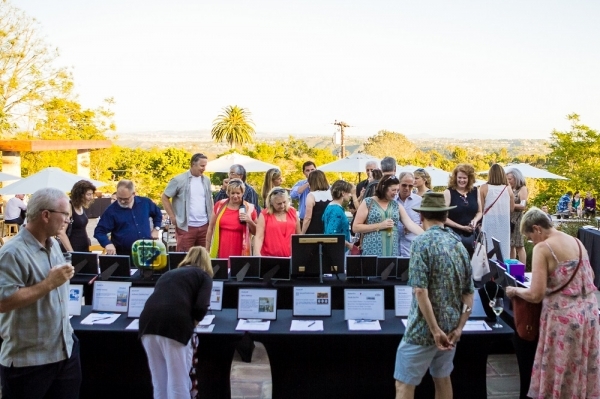 Join ArtReach, a nonprofit aimed at increasing equity in visual arts education to K-6 schools throughout San Diego County, on October 7 to celebrate the 6th Annual Party ARTy. The annual event is an afternoon of creative inspiration and celebration of the ArtReach Access to Art program, which takes free, high quality visual art lessons to San Diego County elementary schools that do not have arts education as part of their school curriculum. Party ARTy will take place in a private Encinitas home and garden and will feature an afternoon filled with artists, curated inspiration, music, gourmet food and craft cocktails. The celebration will include artisanal food prepared by Coast Catering, beer from Stone Brewing Co., fine wine, and craft libations from Old Harbor Distilling Co. Throughout the gardens, local artisans will create art and share handmade techniques.